Introduction to Hypnobabies’ Philosophies and Positive Mindset; Pregnancy Anatomy and Physiology; Belief Systems; The Power of Words and How They Affect Us; How Your Mind Works – The Conscious and Subconscious; The Mind/Body Connection; What Hypnosis is and is NOT; Demonstrations of Hypnosis; How Fear Affects Comfort and Length of Labor; Fear Clearing for Childbirth; The Importance of Daily Birthing Affirmations; The Gifts Your Body Gives You – Your Beautiful Uterus and How it Works; Creating Your “Mental Lightswitch”. Partner Communication Exercise and the “Contract of Trust”. Birth Partner’s “Relax and Feel Confident” CD; The Importance of Making Excellent Birthing Decisions; the “Big Secrets”. Detailed Childbirth Choices – Risks, Benefits and Alternatives for Common Procedures; Getting Informed Consent, Hospital Forms and Your Rights; Questions for Caregivers – Consumer Issues and Positive Communication; Creating the Birth Plan of your Dreams; “Big” Babies; Packing Your Birth Bag; Touring Your Place of Birth; Benefits of a Professional Labor Assistant; “Hypno-Doulas”; Introduction of the “Abdominal Lift and Tuck” for an easier birthing. Birth Partners Training: Your Role During Pregnancy and Birthing Reviewed; How a Labor Assistant Can Help the Hypno-Partner; 4 Pages of Verbal Birthing Cues; Physical Comfort Techniques; the Change of Plans Hypnosis Script.Late First Stage Labor – Transition…or “Transformation”; Hypnosis Deepening techniques; Trusting in Your Body, Your Mind and your Baby; Protecting the Hypno-Mom! ; Effective Positions for Birthing; Benefits and Use of the Birth Ball; Exhale Pushing and Avoiding the “Ring of Fire” with Hypnosis; Safe Birthing of the Placenta; Cord Traction, Pitocin, Post-Partum Choices. Review: Membranes Releasing, Hypnobabies Tools, Using Your Mental Lightswitch, Fear Clearing for Childbirth; Avoiding a Cesarean Section. 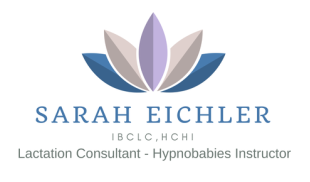 Hypnosis practice: Using Hypnobabies in the Moment!Full practice of our Hypnobabies Lightswitch techniques, Peace cue, Release cue, Birth Partner’s cues, and Moving Hypno-Anesthesia around Your Body. Followed by our In-depth Birthing Rehearsal using all Hypnobabies Techniques, Birth Balls, Walking, Positional Changes and Eyes Open Childbirth Hypnosis where our Hypno-Moms and Birth Partners practice their Hypnobabies cues and techniques together, in hypnosis, culminating with “giving birth” using Hypno-Anesthesia.